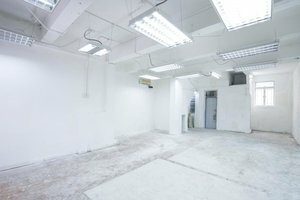 This shop, with the size of 700 square feet is located in the sleek area of Sai Ying Pun. It is now available for brands to organise pop-up stores. The shop is located in a vintage residential building and it is advantageously located on the ground floor. 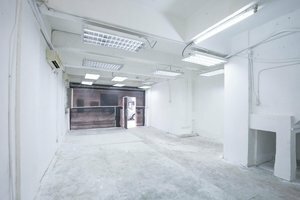 In recent years, many stylish cafes and chic galleries have been flooding into that area, brands, especially from similar industry, might gain more exposure as the Sai Ying Pun neighbourhood is gaining more momentum! 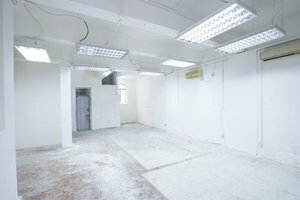 For the equipment, the shop is equipped with basic air-conditioning, electricity, lighting, toilets, and also a large room for window display. 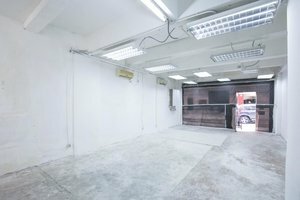 Its interior design is rather simple: the walls are painted in white and the floor is covered with concrete, brands might want to pay some effort giving this shop a makeover to impress the customers and give them a better picture of the brand image.